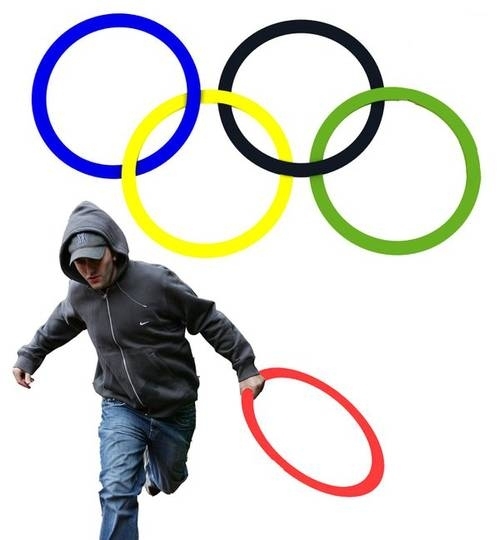 And that's not a London rioter... its the IOC executive, well known for the snouts-in-trough approach to looting. The IOC's very own Jacques Robber. Just like when I was a child watching a magician -- how do they unlink those hoops without breaking them? The magic is in turning a scumbag rioter into a protester.